Liquidation vs. Wholesale: What’s the Difference? There is often confusion on how liquidation and wholesale differ (or if they do at all). In fact, there is a huge difference between the two. Read on for overview of both. Liquidation typically means an organization is trying to turn excess, overstock, or obsolete assets into cash, quickly. For retailers, obsolete merchandise costs money because 1) the goods depreciate with age, 2) they take up space in the warehouse, and 3) they tie up capital. Most retailers will end up selling – aka liquidating – 95 percent of this excess inventory on the secondary market to free up capital and warehouse space; it will be sold at a loss. 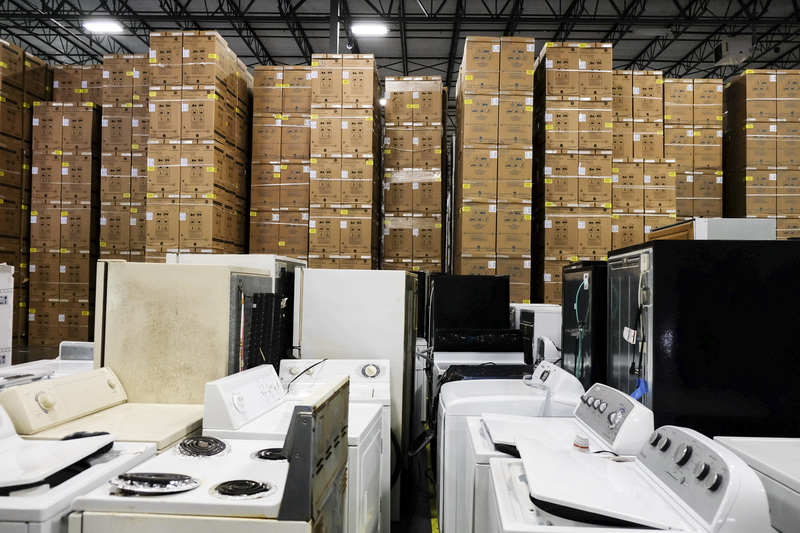 Historically, large retailers and manufacturers have sold this liquidation inventory in bulk through negotiated transactions with a handful of buyers. These sales are generally at prices well below retail MSRP. Over the past few years however, a shift has taken place: many retailers are bypassing traditional liquidation methods and incorporating technology-based programs for obsolete inventory into their overall business strategy. This includes working with B-Stock to launch customized B2B online auction marketplaces that connect returned and excess merchandise directly to business buyers; the result is a level playing field for all buyers, big and small, to compete for the inventory. Essentially liquidation buyers have access to highly discounted inventory that they were previously never able to buy without middleman involvement. What’s more, the inventory is generally listed at a fraction of MSRP. Now, wholesale. Wholesale is the sale of goods and merchandise to resellers and businesses. The wholesale price is usually fixed and the amount of product can vary substantially. The goods are usually sold – by the wholesaler – in bulk quantities with the intention of being retailed/sold by the purchaser. Something else to note: true wholesaling is generally not available to the standard consumer. Wholesalers frequently purchase large liquidation bulk lots from large liquidators, break those lots apart, and then repack and redistribute them in smaller lots to smaller retailers and resellers. Often by the time the smaller retailer or reseller gets it, the merchandise has been through multiple middlemen and price mark ups. B-Stock Sourcing is the largest network of B2B liquidation marketplaces connecting returned and overstock inventory from top retailers and manufacturers – including six of the top 10 U.S. retailers – directly to business buyers. Resellers can bid on a few pallets to multiple truckloads of inventory across dozens of categories including: electronics, mobile, fashion, home décor, appliances and more.